SuPaw asked the Networking forum how best to sync multiple email accounts, plus contacts and a calendar, so that it's all accessible on both a Windows PC and an iPad. A lot of this depends on what email service and/or local email client software, and what calendar program, you're using. I'm going to concentrate here on Gmail, because many people use it, you can easily channel multiple email accounts through it, and, since it's cloud-based, syncing comes naturally (well, sometimes). I'm also assuming here that you're using Google Calendar. 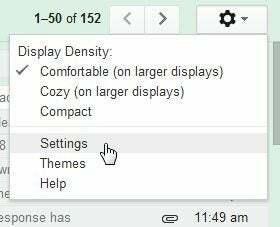 First, the multiple accounts: Once you've set up a Gmail account and are viewing your inbox in a browser, click the tools icon near the upper-right corner and select Settings. On the Settings page, click the Accounts and Import tab. To receive mail from another account, scroll down a bit and click Add a POP3 mail account you own. You'll need to know the POP and SMTP addresses for the account, as well as the email address and password. If you want to send mail from that address, scroll up a bit to the "Send mail as" section, and click Add another address you own." Follow the prompts. The obvious solution is to tap Settings>Mail, Contacts, Calendars>Add Account>Gmail. This will sync your email and calendar, but not your contacts. That's far from a perfect solution. 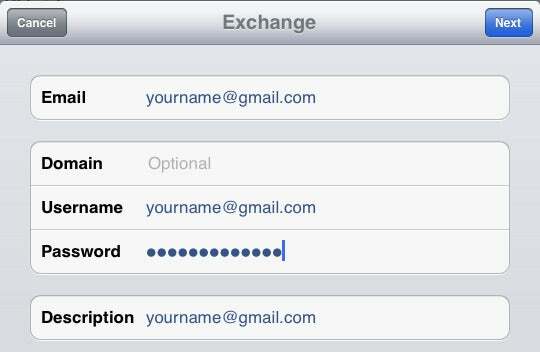 Tap Settings> Mail, Contacts, Calendars> Add Account. But instead of Gmail, tap Microsoft Exchange. On the first page of the Exchange wizard, enter your full Gmail address (whateveryournameis@gmail.com) in both the Email and Username fields. Leave the Domain field blank, but enter your password. Then tap Next. In the next page's Server field, enter m.google.com. Tap Next. The rest of the wizard should be easy to figure out. At one point you'll be asked what services you want to sync. If you've already synced mail and your calendar the obvious way, you need only sync contacts here. My thanks to smax013 for pointing me in the right direction in the original forum discussion.